It’s getting to be that time of year again. The time when those college acceptance or rejection letters start coming in. (Although these days it’s more likely to come in the form of an email.) We’ve all seen those videos online of kids checking their emails and watching their faces as they find out they got in. This can be a crazy emotionally draining time and a little perspective is in order. I wrote about this subject around this time last year, but much of it bears repeating. 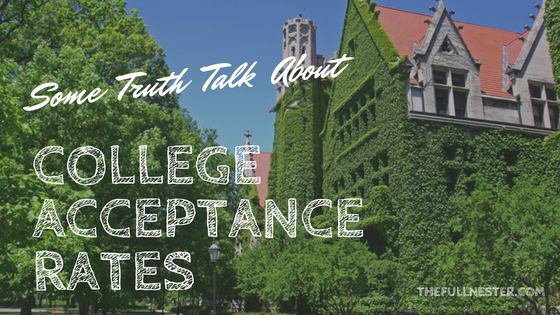 It’s time for a little truth talk about college acceptance rates. There is a number that is a bit of a Holy Grail for colleges and universities. A number that makes them desirable. The place everyone wants to go. What is it? Low acceptance rates. 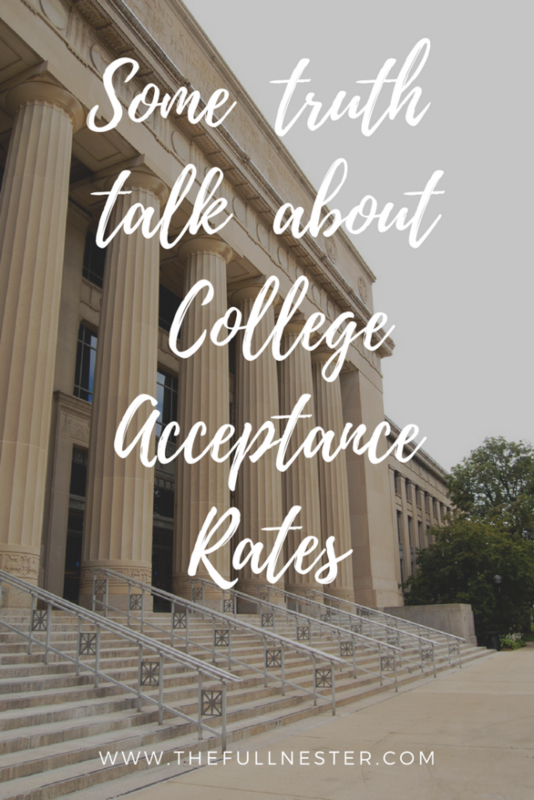 The number that makes colleges stand out on all of those Princeton Review lists and other sites that rank schools is a low acceptance rate. This gives the impression of elite, rarefied air. And maybe it is. But as we were going through the college application process, I also got the nagging sensation that some of this might just be manufactured. I remember reading an article a young incoming college freshman had written as an open letter to elite colleges and universities, asking them to leave her alone because she was tired of getting packets in the mail encouraging her to apply, only to have her hopes dashed as she received rejections from these same schools. So we did a little digging. And here is what we found. For our example, we will use an Ivy League school that has a published freshman class size in the 1200-1300 range. This is the number of students this school knows from the start that they will admit. It is believed that this school sends out application materials to about 80,000 students every year. Of those 80,000, about 31,000 hopeful students apply. So here’s the simple math. 1300 students accepted out of the more than 31,000 that apply. Boom. Instant 4% acceptance rate. Their application fee is $80. So this school makes nearly $2.5 million a year from application fees alone from the over 29,000 students who never had a prayer from the get-go. Now, this is not to say that a student should refrain from applying to any college they want, even if the odds may be against them. They have to try if that is what they want. (Just in case you are feeling ambitious, here is a list of the most selective college in each state in the U.S.) The point I’m making is that it’s not always about the student and their abilities. It’s about numbers. And capacities. And knowing this going in can perhaps help the student keep all of this craziness in perspective. 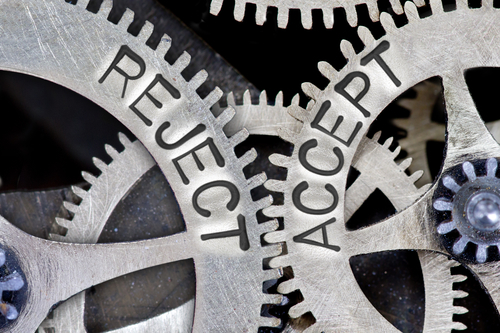 A week after receiving a rejection, a student may receive an acceptance from a prestigious university. What has changed? Are they suddenly smarter? No. Are they a better person? No. It makes me wonder if these acceptances are as meaningless as the rejections. My daughter experienced a similar situation when we were going through this whole process. Why did she get accepted at an elite school that has those coveted low acceptance rates, yet received a deferred acceptance at a large state university? We’ll never know. I almost think a lot of it has very little to do with the students themselves, and more to do with completing an algorithm to create a freshman class. My question is, would these universities and colleges have such capacity problems if they sent their promotional material to students they were actually interested in, rather than blanketing the country with thousands and thousands of glossy pamphlets sent to students they never planned to accept in the first place? There are numbers you can control. Encourage your student to do their very best in school, as depending on your state, class rank and standardized test scores can ensure automatic admission at some schools. It can also qualify students for generous academic scholarship packages. 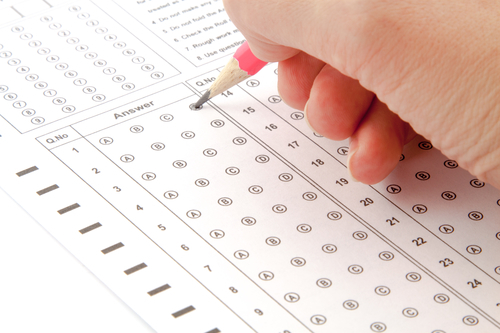 Encourage your student to take the SAT more than once if they aren’t happy with their score. This was all foreign to me, as when I was in high school, there were no prep courses at school, we took the test once, and lived with the results. And yet somehow we all still got into colleges and made it to adulthood. 🙂 But it is quite commonplace today. Many schools offer courses in SAT prep, and there are also many private companies that offer courses, as well as a whole slew of college prep services. My daughter had a tight course schedule, so she prepared at home using study aids like the SAT Prep Black Book and taking practice tests at home. She ended up taking the SAT twice. Take as many AP courses and dual credit courses as possible. These choices show colleges that a student took advantage of rigorous curriculum opportunities at their school. These courses can also help academically and financially because the student will arrive at college with credit hours, which saves money and can make their schedule less stressful by reducing the number of hours they have to take per semester. Don’t make it all about academics. Colleges are interested in seeing students who are more than just a laundry list of classes taken. Extracurricular activities matter too. But again, don’t just join every club in school just to add it to a list. 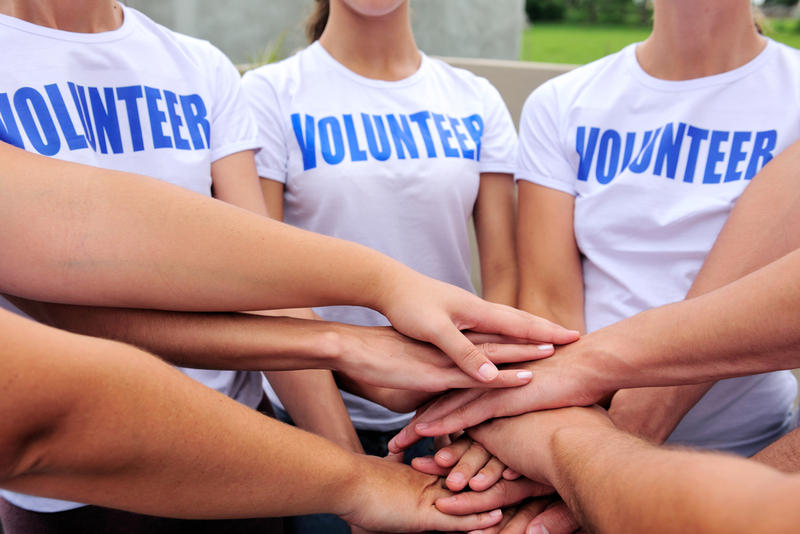 Students should join activities they actually enjoy and want to be involved in. If they choose leadership positions within these organizations, they will learn invaluable life skills that will serve them well, even if they don’t help them get into the college of their choice. Unless we are admissions directors, we may never know that mysterious combination of qualities a student must possess to get into a college or university. All I hope to impress upon you is to help your child see that this insanity that is the college application process does not define them. Are they going to get their feelings hurt? Probably. Will they live? Yes. 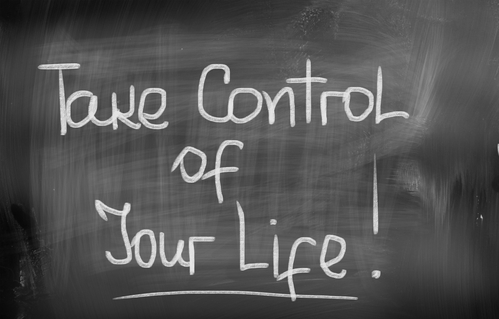 You can do a lot to help that process along by keeping a zen approach to all of it. While your first inclination may be to act like Beverly on that hilarious TV show The Goldbergs, and run to the school office demanding to know why Schmoopy didn’t get in, don’t do it. There are far greater tragedies in the world than having to go back to the drawing board to find the right college. My daughter ended up going to a university that wasn’t even initially on her radar, and it turned out to be a great fit for her. In the end, attending college is about SO MUCH MORE than just going to class and getting a degree. It is a place where students will learn independence and wrestle with the imperfections of their own thoughts and those of society. That can be done in a lot of places. Keep some perspective as you navigate the process to find out where that ideal place is for your child. They and you may have to accept the possibility that they do not have the qualifications on paper that all universities and colleges are looking for. Or maybe they do. Maybe it’s just a capacity problem. If your student has already decided where they’re going to college, it is time to focus on securing as much scholarship money as you possibly can. 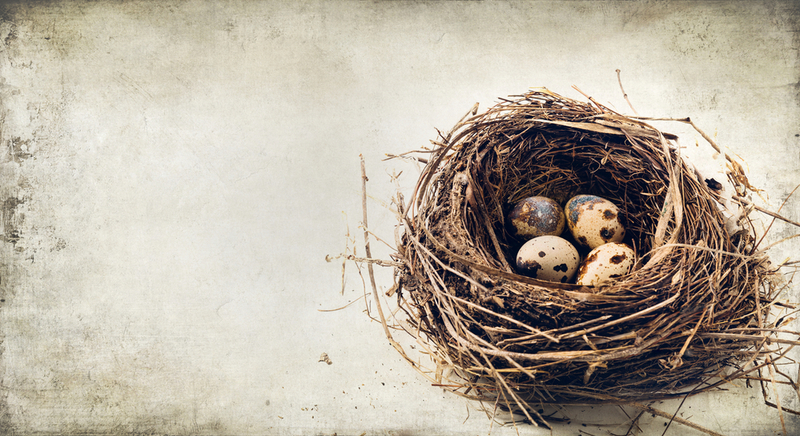 Just like the college application process, the search for scholarships can be overwhelming. A fellow blogger, Jocelyn Paonita, has written a fantastic informative post about scholarships that you can read here. It’s a very comprehensive look at the scholarship process. She also has created a program called The Scholarship System to help students and parents tackle a very overwhelming subject. She offers free 45-minute webinars to get you started. Check out The Scholarship System to find out when the next webinar is and book your spot! Please feel free to leave a comment about your own experiences navigating the college application process. We can all benefit from each other’s wisdom!